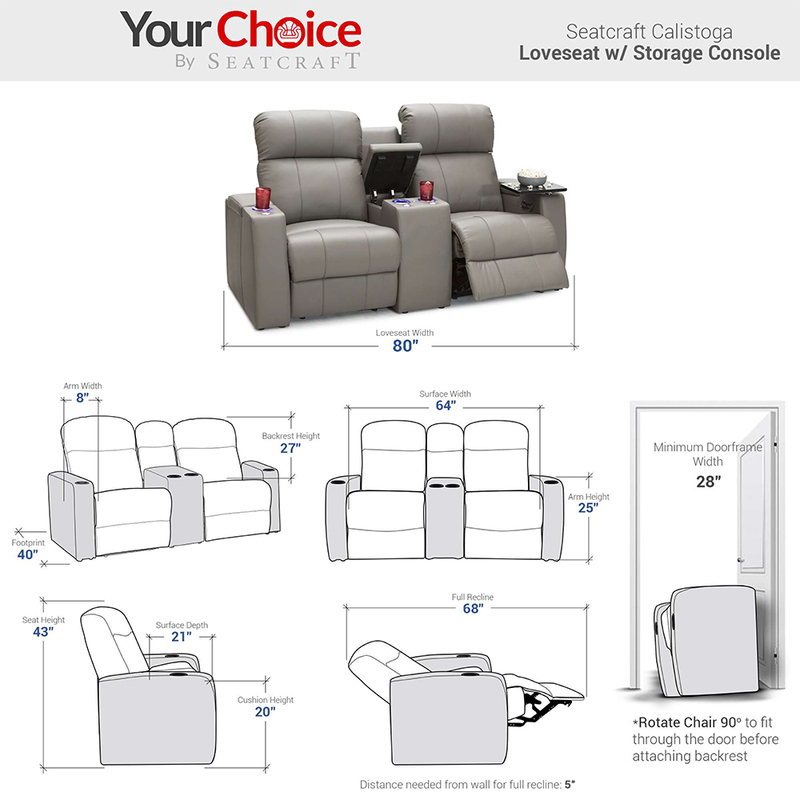 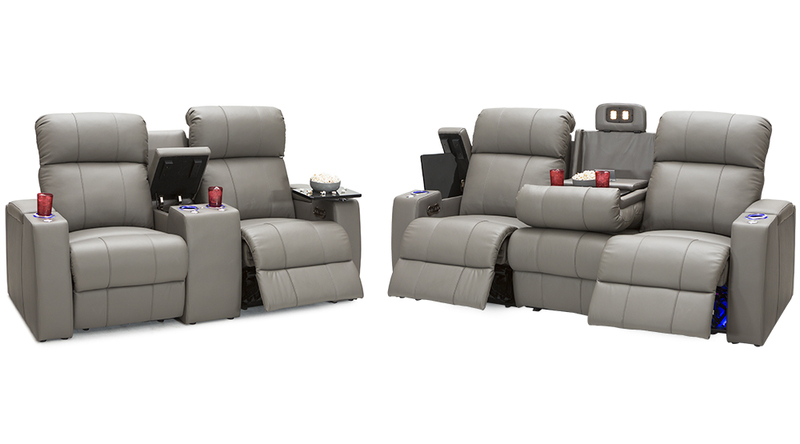 The Calistoga Sofa & Loveseat by Seatcraft offers phenomenal value for a custom experience; complete with powered headrests, usb charging ports, and an excellent price. 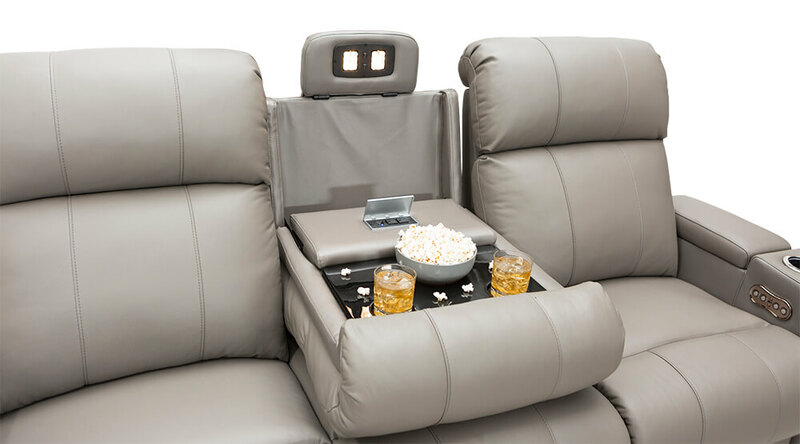 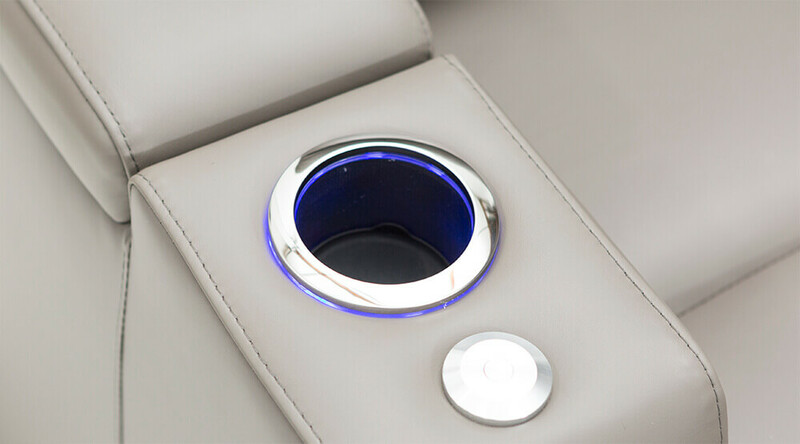 Lighted cupholders, fold-down table w/ flip up AC & USB Charging Panel. 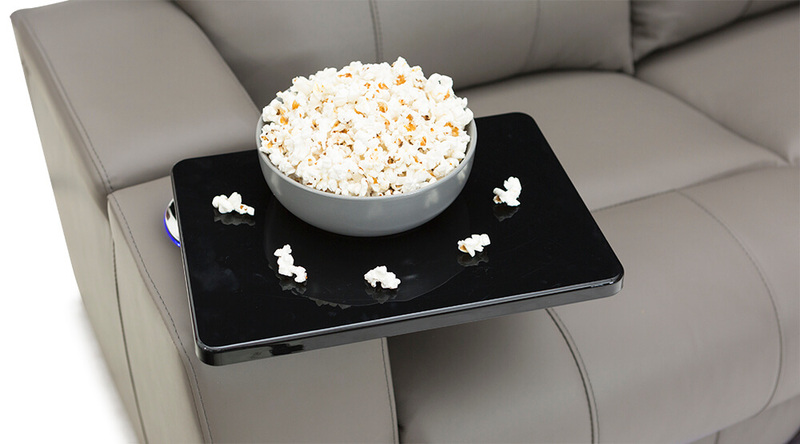 Power recline, in-arm storage, all with a free, onyx-black polished tray table. 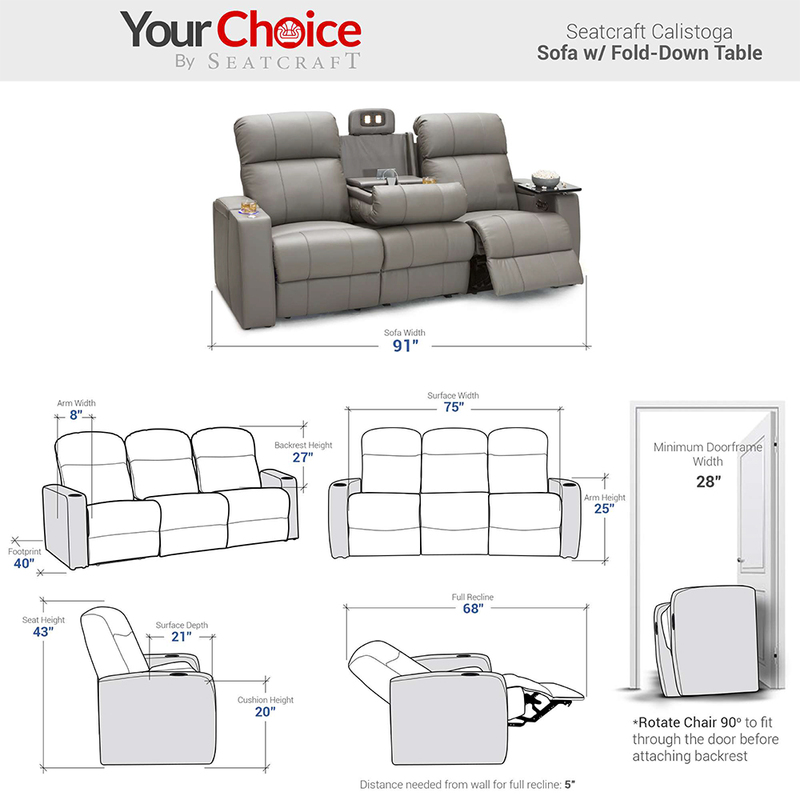 The Seatcraft Calistoga is a chair of superior caliber in contrast to other products that merely approach its simple, yet refined form. 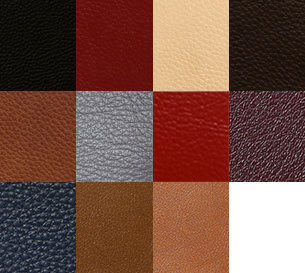 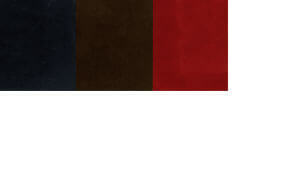 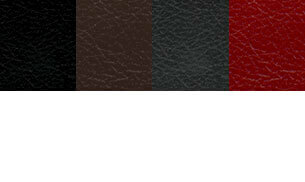 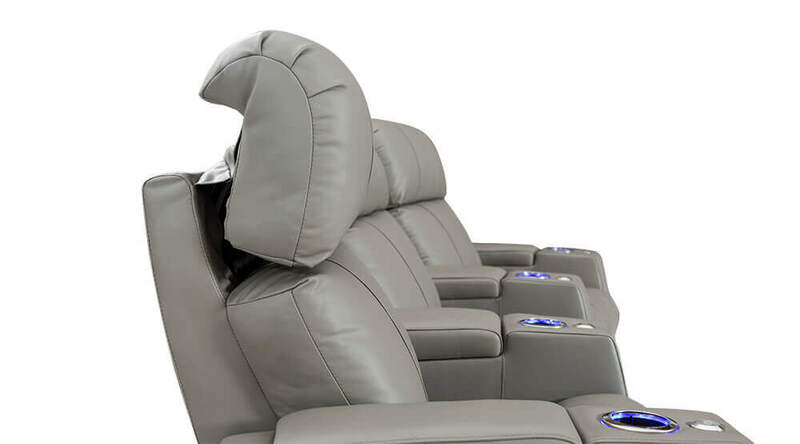 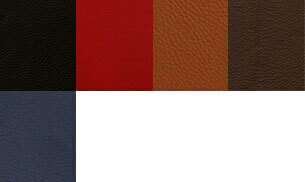 Its luxurious padding in combination with its ComfortView headrest is sure to please the mind and body of any user, regardless of which material you choose to have it upholstered in. 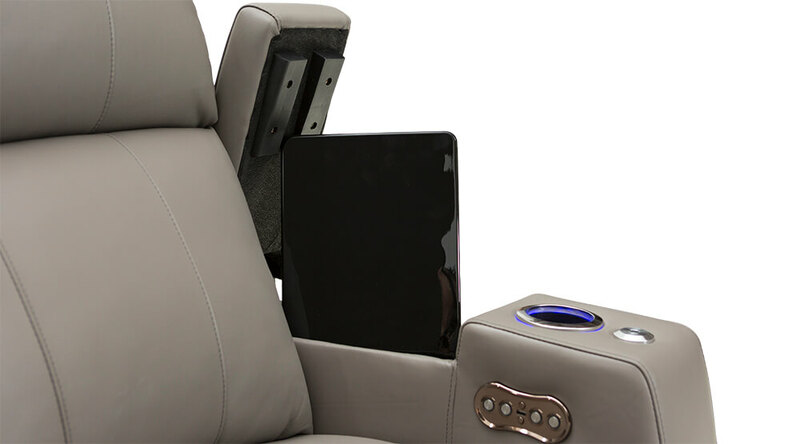 Inside the Calistoga’s silent open & close storage console are two AC outlets and two USB charging ports, effortlessly keeping any of your devices charged and ready for use. 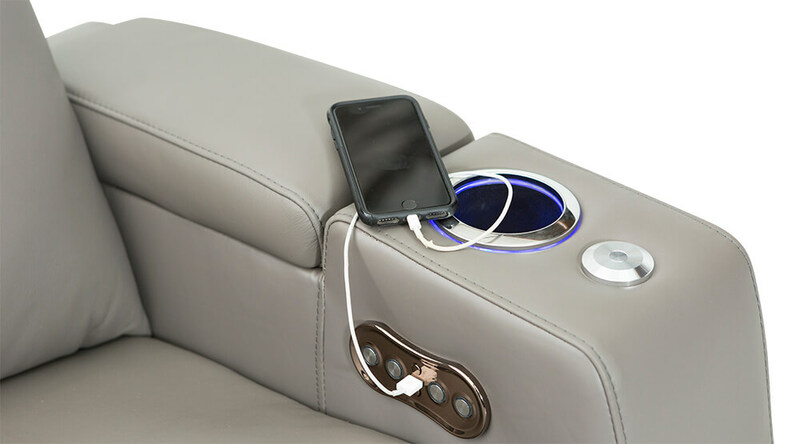 This USB & AC charging panel found in the Calistoga sofa’s fold-down table allows one to charge cell phones and laptops with ease, even further increasing the range of entertainment options at your disposal. 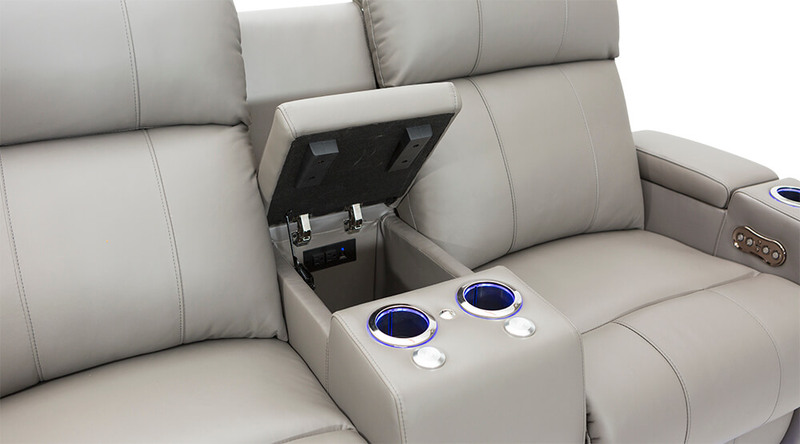 This spacious, polished fold down table features a multitude of features, from lights, to charging ports, and two lighted cupholders for all your electronics and beverage necessities.